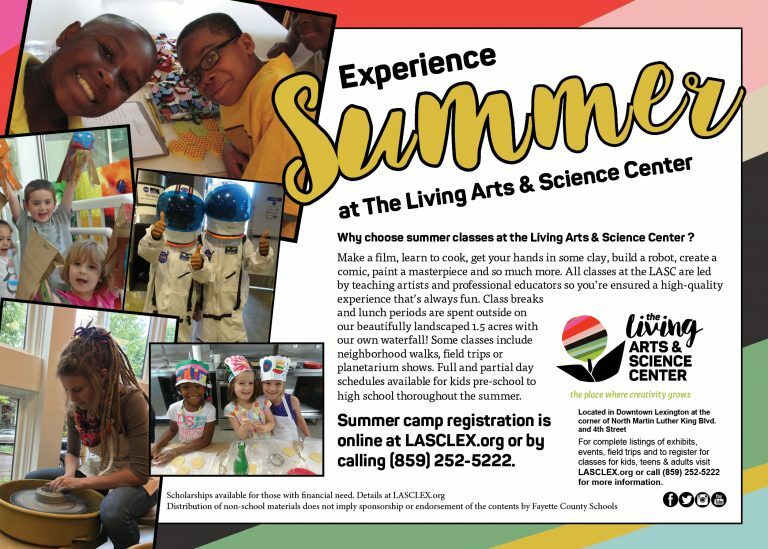 The Living Arts and Science Center inspires participation in art and science by engaging the community through education, discovery, exploration and creativity. They offer a variety of summer camps for kids of all ages! Why choose summer classes at the LASC? Explore the Moon, learn to cook, get your hands in some clay, build a life-size puppet, create a comic, paint your masterpiece and so much more. All classes at the LASC are led by teaching artists and professional educators so you’re ensured a high-quality experience that’s always fun. Spend breaks and lunch periods outside on our beautifully landscaped 1.5 acres with our own waterfall! Some classes include neighborhood walks, field trips or planetarium shows. Full and half day schedules available for pre-K – 12th grade. All classes taught by professional artists and educators. Choose from multiple class options for each age group and build your own full or partial day schedule. Join our email newsletter for updates.